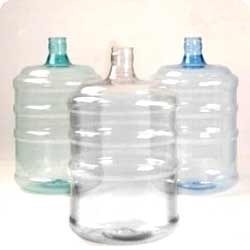 For the diverse requirements of our customers, we are involved in offering an extensive range of Gallon PC Bottle. The product that we offer is dimensionally accurate and offer trouble-free performance. Optimum strength and longer functional life are some of the salient specifications of this product. We ensure timely delivery of this product. Orange Aqua Poly Products Private Limited was incorporated in the year 1995 as a Private Limited Company with its headquarter located at Chennai, Tamil Nadu (India). Our company was sprouted with a vision to offer best quality poly-products at nominal prices. We are indulged in the manufacturing, supplying, trading and exporting of Filling Machine, Plastic Bottle Cap, Labeling Machine, Rinser Filler Capper Machine, 20 Litre Jar Filling Machine, Automatic Stretch Blow Moulding Machine, Water Treatment Plants, Pet Preform and many more. Our product range are extensively demanded by our clients from various sects owing to their supreme quality, durability, longer life, and cost-effectiveness and reliable for use. Some of our esteemed clients are Pepsi, Kinley, 7up, Coca Cola, Aquafina, Kingfisher and Culligan. Our Filling Machines and Seawater Desalination Plants require low maintenance charge. Due to affordable and reasonable prices, our products have become a first choice amongst our customers. They provide our clients with a sense of atonement as they received world class quality standards.